Husbands and wives willingly tolerate a lot of each other’s personal quirks over the course of a marriage —knuckle cracking, toenail clipping, off-key singing, leaving the toilet seat up—but it takes a very strong bond to deal with snoring, one of the most annoying and profound threats to married bliss besides ESPN. One thing about snoring is that it’s everywhere. 40% of us are snorers, and 25% of us are considered heavy snorers. That’s a lot of nighttime noise across America. What is snoring and why do we do it? Snoring is the unmistakable snorting or rattling sound that happens when there is an obstruction to the free flow of air through the upper air passage at the back of the mouth and nose while sleeping. The area at the back of the throat narrows when the muscles there relax during sleep. The air trying to move through the narrowed space causes the tissues to vibrate causing the snoring sound. Snoring can go from annoying to dangerous in the case of obstructive sleep apnea, a common but serious sleep-related breathing disorder. Sufferers of sleep apnea literally stop breathing while they’re sleeping for as long as thirty to forty seconds because their airways become blocked by the collapse of the tissue in the back of their throats while they sleep. The muscles of the upper airway relax naturally when we fall asleep. If we sleep on our back, the tongue falls backward into the airway, narrowing the flow of air and causing the tissues to vibrate which causes the snoring. A sleep apnea sufferer’s airway becomes blocked while asleep, cutting off the supply of oxygen. This can happen to someone with sleep apnea several times a night or several hundred times. The constant struggle for steady oxygen flow becomes exhausting, and the apnea victim often wakes up tired, irritable, and unable to concentrate at work the next day. The long-term implications for sleep apnea victims can be high blood pressure, heart disease, stroke, and depression unless controlled. Can the right mattress help certain types of snorers? Since one of the most common causes of snoring is sleeping on your back, the answer is absolutely yes. If you’re a back sleeper, you may simply need to find the type of mattress that is specially designed to allow you to get a great night’s sleep while sleeping on your side. 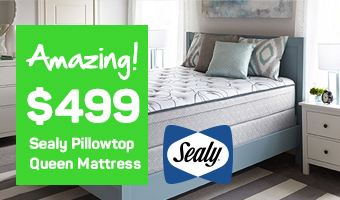 One mattress that fits that bill perfectly is a latex or memory foam type mattress. A side sleeper will likely find that the surface of a conventional firm mattress is not cushioned enough for the pressure points of the shoulder, upper arm, elbow, hip, and knee. 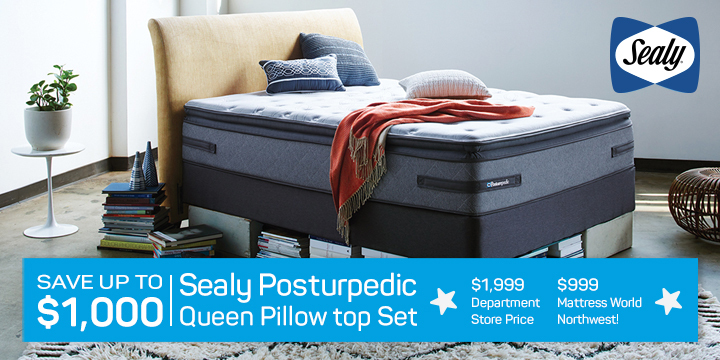 One of our expert Mattress Warehouse Sleep Specialists will point out that a latex or memory foam mattress will provide cushioned support for those pressure points while cradling the natural contour of the body from head to toe. 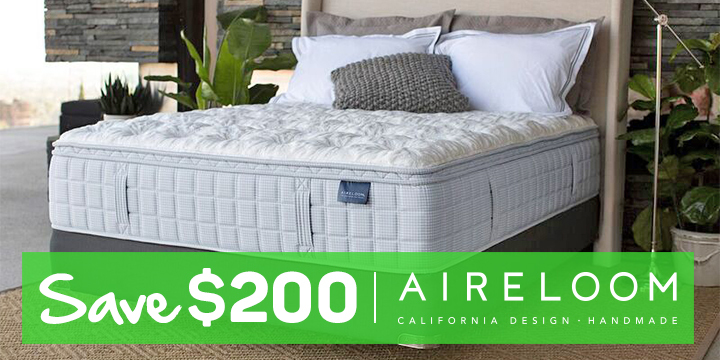 Ask to try out a plush mattress, designed to give the support of a firm mattress while having an inner layer of one to four inches of convoluted foam just under the mattress top. If you’re a back sleeper and a snorer, you’ll find a whole new world of comfort sleeping on your side on a latex or memory foam mattress. You may also find that your spouse begins to wake up every morning with a smile, well rested after a quiet and serene night’s sleep. We are Oregon’s leading mattress provider with eleven Mattress Warehouse stores located throughout the state in Portland, Canby, Salem, Clackamas, Wilsonville, Beaverton, and Gresham. Stop by one of our stores today and ask one of our Sleep Specialists to show you how you can begin to enjoy sleeping again.